(Reuters) – U.S. President Donald Trump said on Thursday he did not plan to meet with Chinese President Xi Jinping before a March 1 deadline set by the two countries to achieve a trade deal. If the talks do not succeed, Trump has threatened to increase U.S. tariffs on Chinese imports. Another round of talks is scheduled for next week in Beijing. “There was concern about the downside for markets in particular if they don’t reach a deal,” the source said. The president is scheduled to travel to Asia at the end of this month for a summit with North Korean leader Kim Jong Un in Vietnam, and some had speculated that he could meet with Xi on the same trip. Trump had indicated that was one option, or Xi could come to the United States. The news prompted a sharp selloff in U.S. stocks, dashing the optimism that had been building that the countries were progressing toward a deal before tariffs on Chinese imports rise to 25 percent after the March 1 deadline. The S&P 500 Index closed down 0.93 percent in its biggest drop in two weeks. Treasury bond yields dropped as investors sought safety in sovereign U.S. debt. The benchmark 10-year yield slid 4 basis points to 2.66 percent, the lowest in nearly a week. U.S. Trade Representative Robert Lighthizer and U.S. Treasury Secretary Steven Mnuchin are leaving on Monday for the next round of talks in China, one administration official said. “They’re hoping for more success,” he said. The United States is pressing China to make major reforms, including on structural issues related to how it treats U.S. companies doing business there. 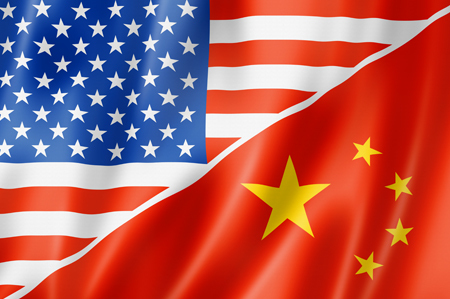 Washington accuses China of stealing U.S. intellectual property and forcing American businesses to share their technology with Chinese companies. China denies the accusations. CNBC reported that the tariffs were likely to remain at the 10 percent rate. Three sources familiar with the matter indicated that report was wrong. The president has said repeatedly that the tariffs would go up if no deal has been reached, and that position has not changed, one source said.